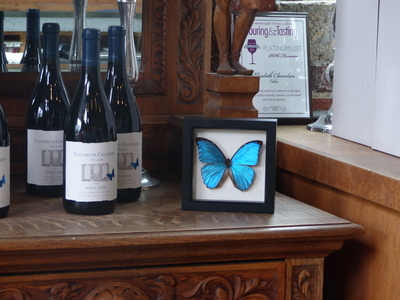 Wine bottles from Elizabeth Chambers Cellar and its signature butterfly logo are displayed in the tasting room at Elizabeth Chambers Cellar in McMinnville, Oregon. This image was taken during an oral history interview with Liz Chambers on June 23, 2016. Chambers was interviewed by Linfield College Archives staff Rich Schmidt and student Stephanie Hofmann. Liz Chambers is the owner of Elizabeth Chambers Cellar and Silvan Ridge Winery. 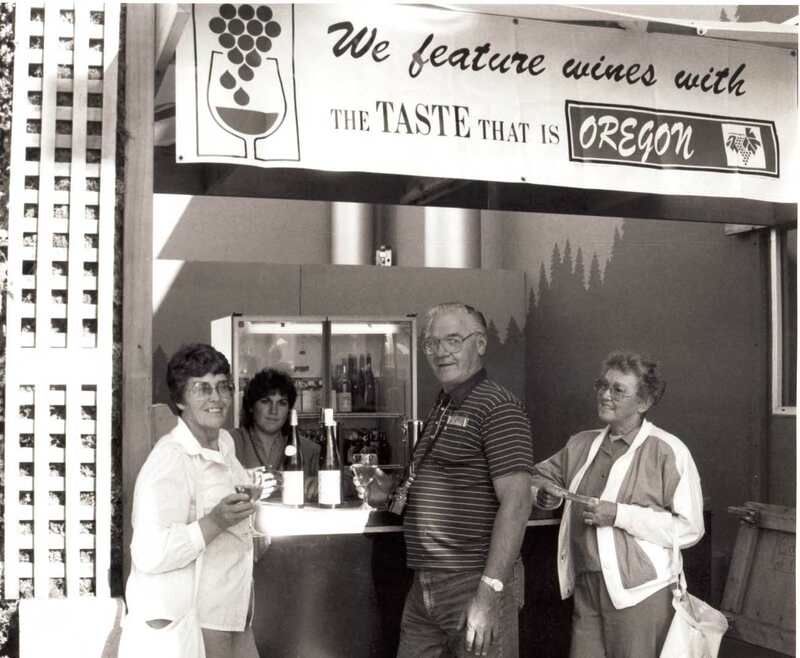 Carolyn Chambers, Liz's mother, bought Hinman Vineyards in Eugene, Oregon in 1991 and renamed it Silvan Ridge Winery. Her daughter, Liz, became the owner in 2012 after her mother's death. Liz then started Elizabeth Chambers Cellar in 2013, crafting her own distinctive Pinot Noir sourced from vineyards in the Willamette Valley. Linfield College Archives, "Elizabeth Chambers Cellar Wine Bottles and Butterfly Logo" (2016). Browse All Willamette Valley Oral History Interview Photos. Image. Submission 138.